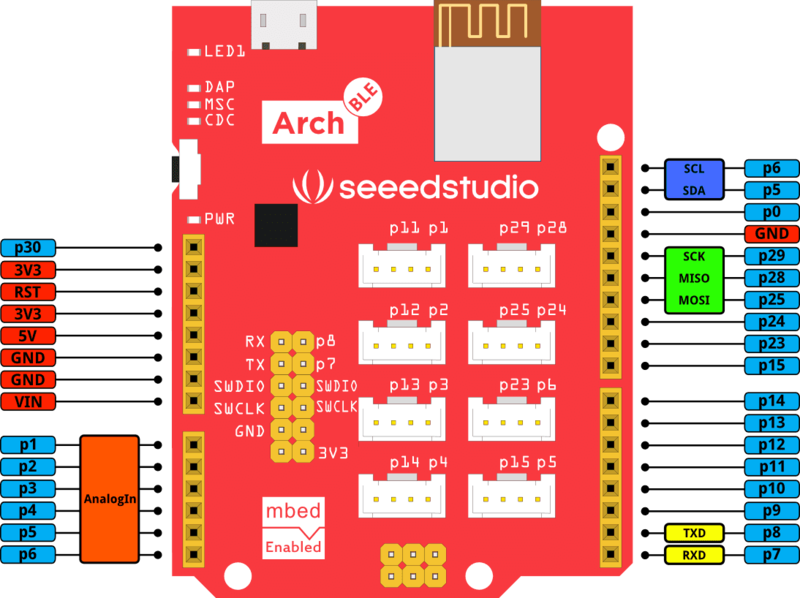 Arch BLE is an mbed enabled development board based on Nordic nRF51822. 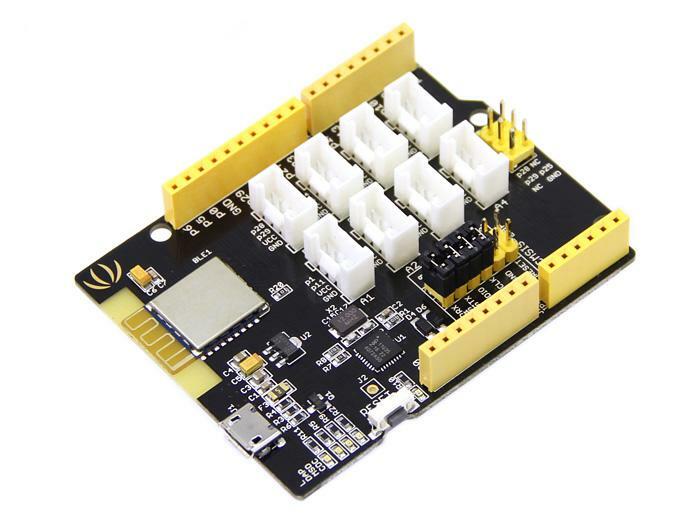 With Arduino form factor and Grove connectors, it is extremely easy to create a Bluetooth Low Energy(BLE) device. The nRF51822 is a powerful multi-protocol single chip solution for ULP wireless applications. It incorporates Nordic’s latest best-in-class performance radio transceiver, an ARM Cortex M0 MCU and 256kB flash + 16kB RAM memory. The nRF51822 supports Bluetooth® low energy and 2.4 GHz protocol stacks. Click the Compile icon of the top toolbar to compile the program, then download the compiled hex file. If you are get a compiling error that 'device.h' is not found, try to update the mbed library to the latest revision in your program. 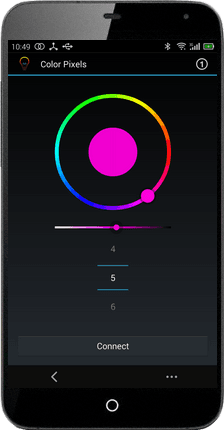 Color Pixels, a colorful LED strip, can be controlled by mobile phone. If you want to change the program, click this link to import the Color Pixels program to mbed online IDE. A Toy car controlled by mobile phone. The latest firmware version for the Arch BLE is v0221 built on March 02 2015. To check your firmware version and built date, open the MBED.HTM file of your MBED disk in a text editor. Issues when directly downloading the hex file into the MBED disk with the Chrome browser. The reason is Chrome creates a temporary file while downloading. If you are using Chrome, please save the hex file to a different location and then copy it to the MBED disk. Hold the Arch BLE's button and power it ON. A CRP DISABLD disk will pop up. On Windows, replace firmware.bin with the above firmware.